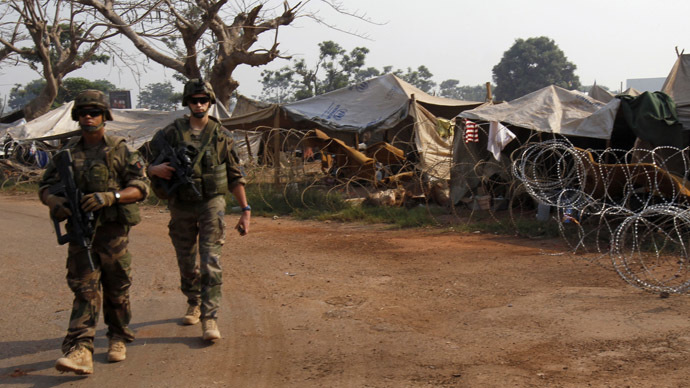 Following shocking revelations of child sexual abuse by French peacekeeping troops in the Central African Republic, the UN has warned that it is “horribly possible” that information about more such cases may emerge. As the investigation continues into the alleged French crimes and troop misconduct, UN human rights spokesman, Rupert Colville admitted that “it is possible, it’s horribly possible,” that further inquiries will reveal more unreported instances. In the meantime Paula Donovan, from the AIDS-Free World said children interviewed also accused soldiers from Chad and Equatorial Guinea of molesting kids. She also accused the UN of trying to cover up the scandal. “You can say it was a UN cover-up,” Paula Donovan, co-director of the AIDS-Free World, told IBT. She pointed out that UNICEF and the Commission for Human Rights, after interviewing the first victims, did nothing to apprehend those responsible, despite knowing certain physical traits of the assailants. “There’s no indication of an intervention on the part of the interviewers to ensure that the authorities apprehended the perpetrators described by the very first victims they interviewed, and no indication that the children were referred immediately to professionals who could offer them treatment,”said Donovan. In regards to soldiers from Chad and Equatorial Guinea, the UN said on Friday that it didn't know whether the accusations against these nations are being pursued. The world organization did express hope that the French probe might cover it.